Which is your favorite, 最喜爱的 阿黛尔 song? my 最喜爱的 阿黛尔 songs ; favorite? What's your 最喜爱的 song on 21? WHICH IS THE BEST ALBUM OF SHE,21 或者 19? I was wondering if 阿黛尔 could write a quick note 或者 this is a far stretch but sing to her to Make 你 feel my love. This was our wedding song. This would make her years. How can I request an autograph from 阿黛尔 to a special needs girl who is turning 16? Any help which direction I should go in would be appreciated. After her triumphant, record-breaking year, 阿黛尔 faced surgery—and silence. With her voice back, she opens up to Jonathan 面包车, 范 Meter about fame, family, and what the future holds. Watch Free Indian drama serial Sajda Tere Pyar Mein Live episode 21 February 2012. All episodes and latest 更新 of Sajda Tere Pyar Mein drama is available online. All episodes of Sajda Tere Pyar Mein Download and watch Free. Sajda Tere Pyar Mein is set in the beautiful Rishikesh and will also be set in Chandigarh after Jeevika's marriage. This is a story Ek Hazaaron Mein Meri Behna Hain is two sisters who 爱情 each other enough. 3.) @pilyrodriguezz: You'll never know, if 你 never try. Old friend, why are 你 so shy? It ain't like 你 to hold back 或者 hide from the lie. RUMOUR has it Adele’s fourth album will be out 下一个 summer if her record label Sony gets its way. a comment was made to the poll: What is your 最喜爱的 song from "25"? 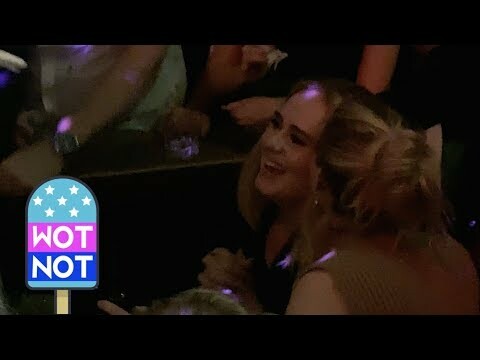 Which famous singer was in Adele's class at the famous Brit School in London?